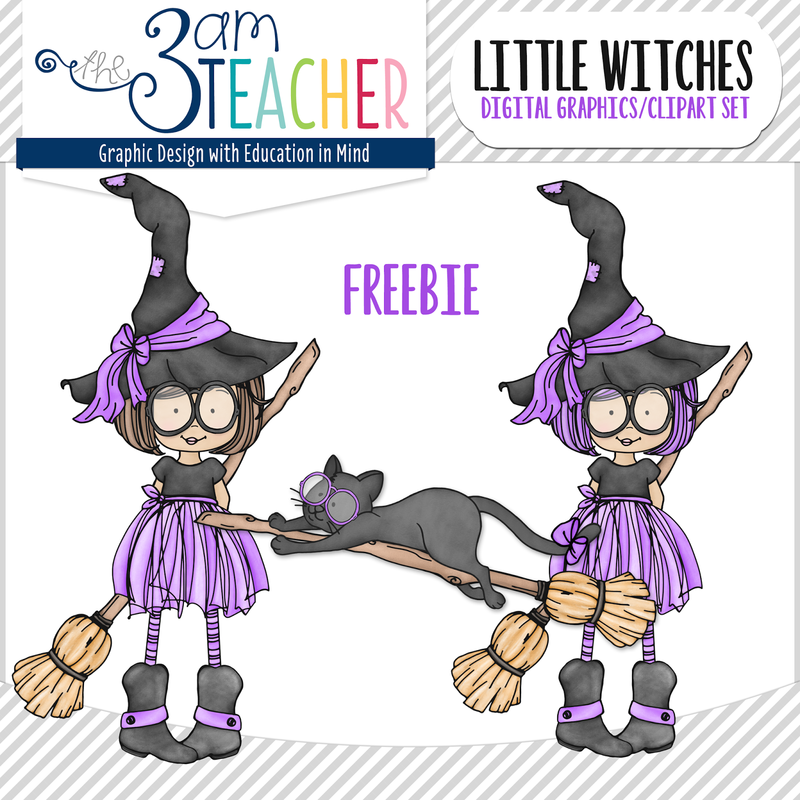 The 3am Teacher: NEW Little Witches & a Friday Freebie...Early!! 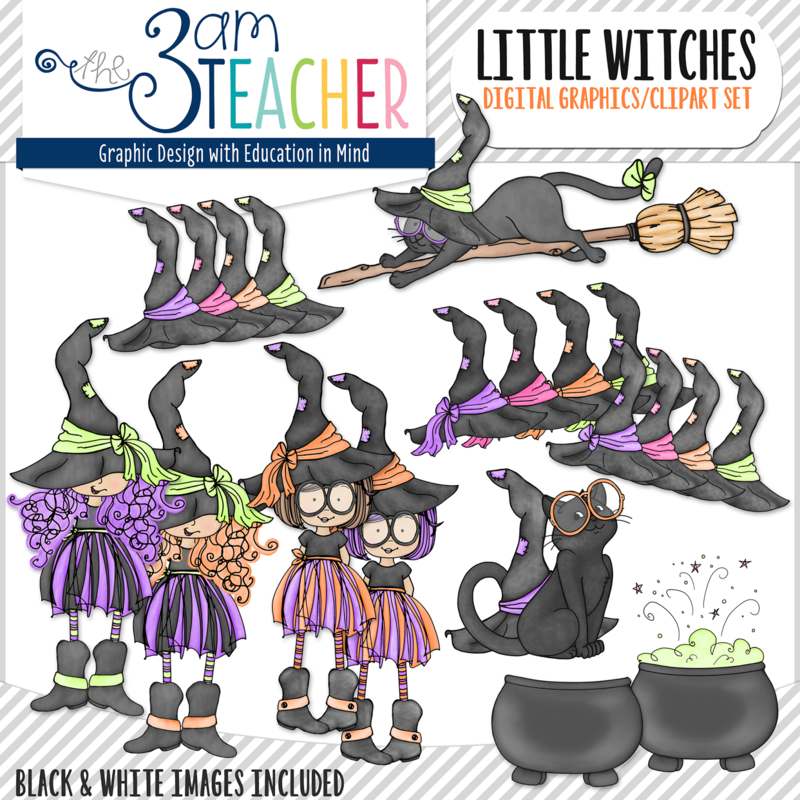 NEW Little Witches & a Friday Freebie...Early!! I just wanted to drop in for a "quick reveal" and to give you all a gift!! 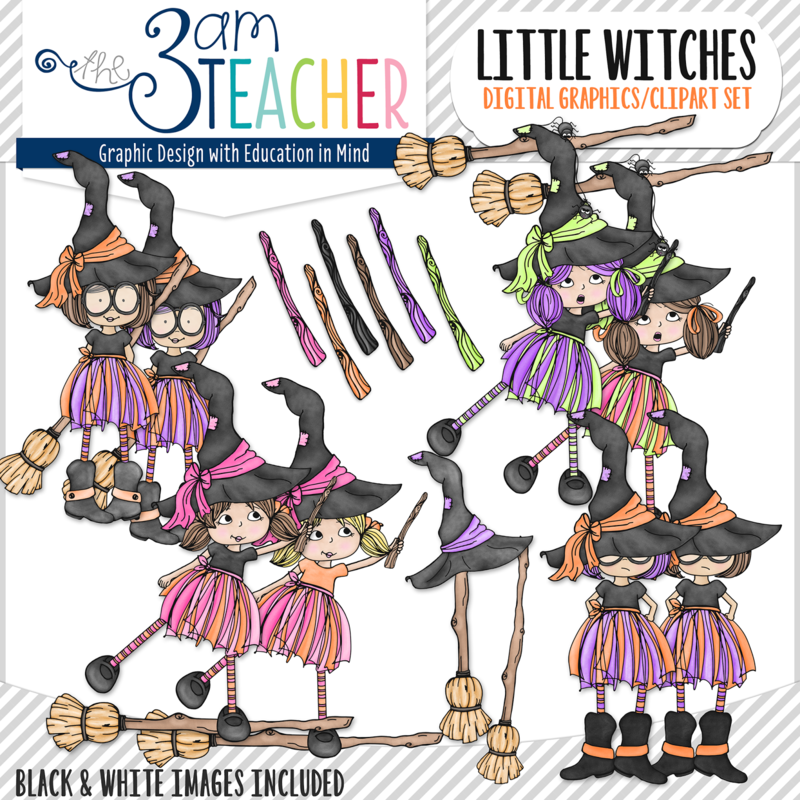 Although these cutie Little Witches took me much longer than anticipated, I FINALLY got them finished and I am SOOOO happy with the result!! They really turned out cute. 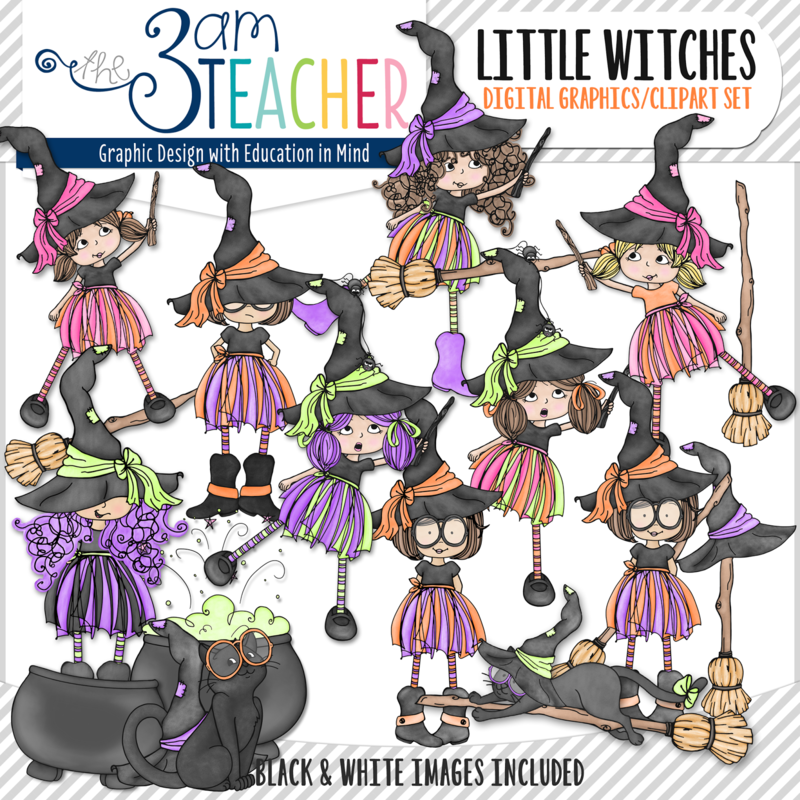 The set includes 61 custom graphics for you to enjoy! All of the images are hand-drawn and painted (digitally, of course). As always, I included the black and white images within the set for one low price of $7.00.... ACTUALLY, I have discounted the set to $5.50 until Friday at midnight (Arizona Mountain Time). P.S. 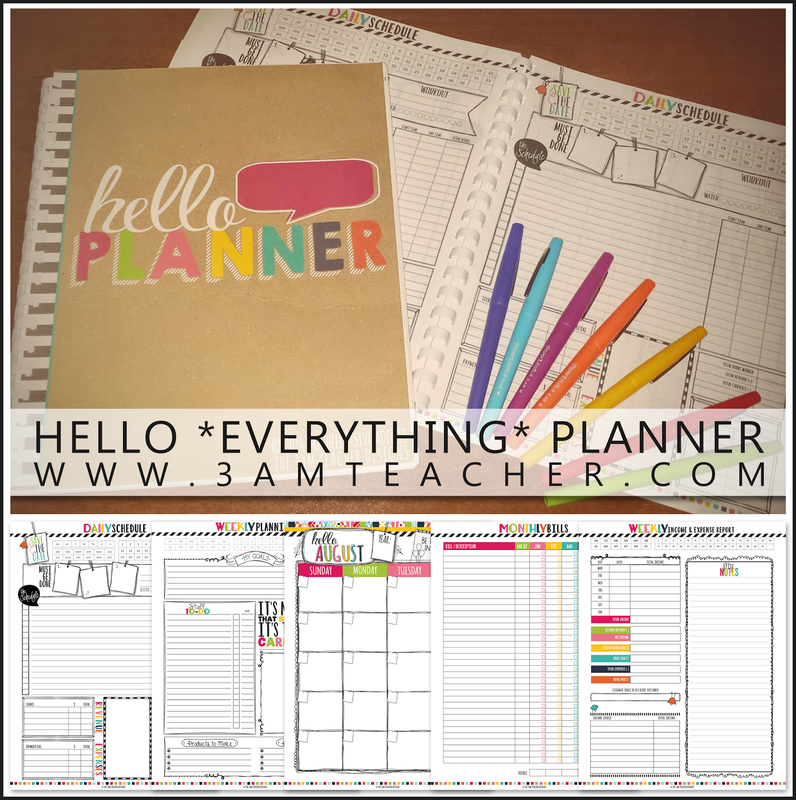 Don't forget about the Educents $15 Frenzy going on NOW!! 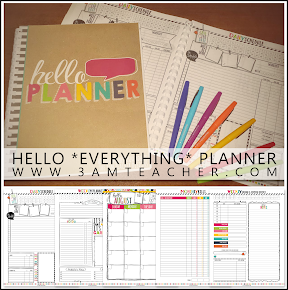 You can get my Hello Planner for only $15.00, as well as a ton of other $15 Teaching Resources!! You have THREE days left to grab the deals!! Click the image below to visit the DEAL!! 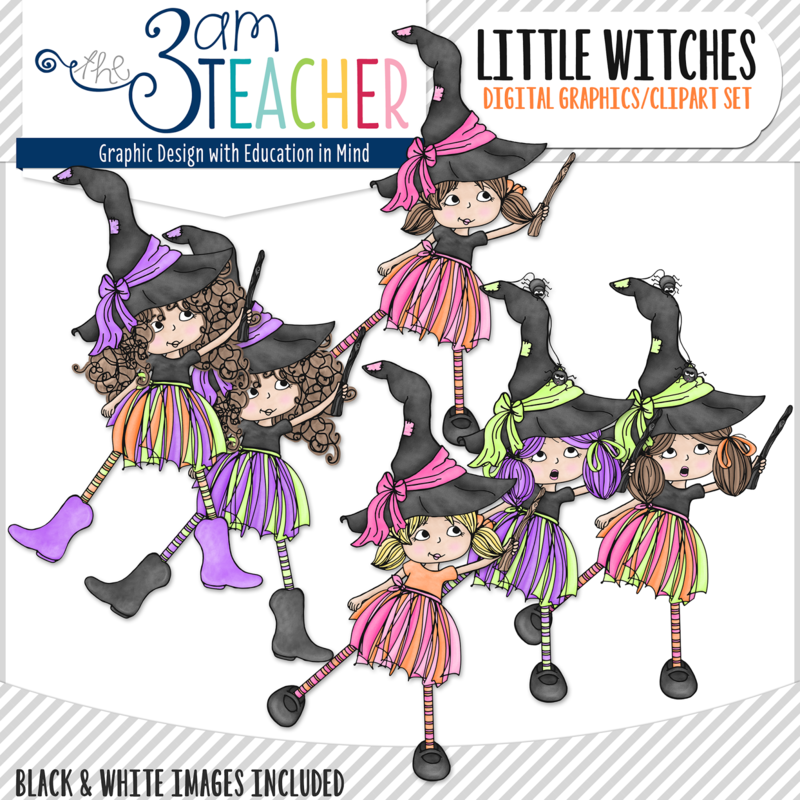 Now these are some REALLY cute witches. Nothing to say boo too :-) Thank you for sharing your magic so generously. You are one talented lady! Love, Love, Love the clip art! Keep it coming!